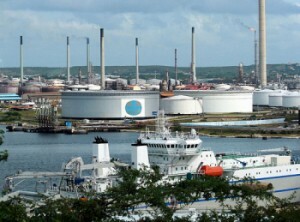 HOUSTON - A unit of Venezuela's state-owned oil company Petróleos de Venezuela SA (PDVSA) has asked a US court to order two businessmen to compensate it for carrying out a "staggering" bribery scheme that cost the company $600 million in losses. A motion filed last week in federal court in Houston marked the first time PDVSA had formally intervened in the case, part of a US Justice Department investigation into bribery of company officials, Reuters reported. PDVSA subsidiary Bariven SA is seeking restitution from Venezuelan businessmen Roberto Rincon and Abraham Shiera, who have pleaded guilty to charges under the Foreign Corrupt Practices Act. PDVSA had initially described the case as part of a wider US-led conspiracy and "smear campaign" against socialism in Venezuela. However, in its motion, the company said an internal probe conducted after the charges were announced determined it suffered $600 million in losses. "The scope of this criminal enterprise is staggering," the company said. The company asked US District Judge Gray Miller to grant it victim status and set a restitution hearing before sentencing next June. Rincon and Shiera conspired to pay bribes to PDVSA officials to secure contracts, with more than $1 billion traced to the conspiracy between 2009 and 2014. Four other people besides Rincon and Shiera have pleaded guilty to charges, including three former PDVSA officials.